Tesseract might be the only infinity stone that has a very confusing timeline, even for its own good. Before I figured out the timeline that I believe is true, I had to watch all of the MCU movies because I really need to know as a fan, right? Here's my best, trying to explain the legendary Tesseract timeline in MCU. Let me know if I missed anything! In the opening sequence of Captain America: The First Avenger (2011), Schmidt/Red Skull (Hugo Weaving) clearly said that "the tesseract was the jewel of Odin's treasure room.". How did he know? I have no clue. But from that line, we knew that before fell to earth, tesseract was kept in Asgard. I'm not sure how the infinity stone found its way to earth, but it was hidden by some sort of Odin's worshipper in Norway inside the Tree of Life before Red Skull found and took it from them in 1942. Red Skull created weapons for HYDRA with help from Dr Zola (Toby Jones). In the latest MCU movie, Captain Marvel (2019), we knew that there's another person who studied the tesseract, Dr Lawson (Annette Bening) who was a Kree named Mar-Vell. She was running a joint project between NASA and SHIELD called Project Pegasus, although I'm not sure what they worked on, in the movie, Lawson had her own secret project which was a light-speed engine and used tesseract as its source. We also knew that Carol Danvers/Captain Marvel (Brie Larson) power came from the infinity stone. Back to Project Pegasus, Howard Stark was the one who instruments the project. He was also the one who found the tesseract. So, was he the one who choose Dr Lawson as the project leader? I'm down to get a further story about this project, honestly! In Captain Marvel, we saw Goose, the Flerken kitty, swallowed the cube. We also saw in the post-credit scene, Goose vomited the tesseract into Fury's desk. So, most likely, Fury's team continued to study the infinity stone. In the Avengers (2012), we knew that Fury (Samuel L. Jackson) meant to create weapons from the stone so the earth prepared for aliens invasion. He even asked Steve during Steve's workout session about what the Captain knew about the stone but Cap ignored him. Dr Erik Selvig (Stellan Skarsgard) was an astrophysicist. After Thor's encountered in the earth, Dr Selvig was recruited as SHIELD consultant. 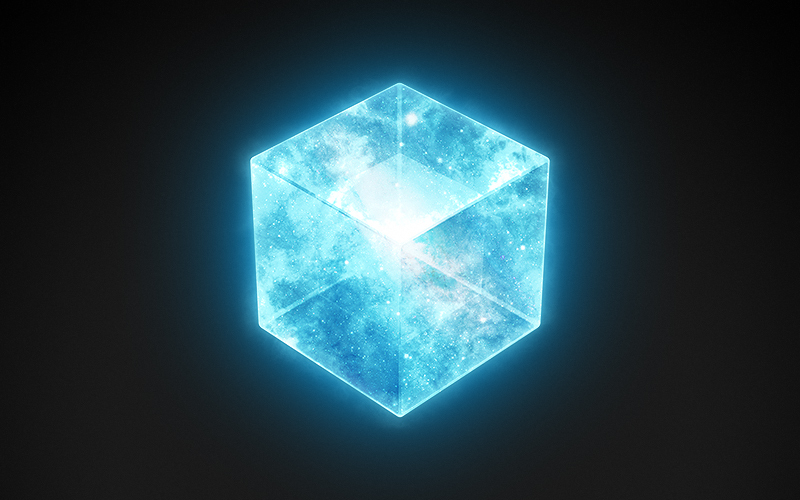 Fury asked for his help to unlock the tesseract secret as shown in the mid-credit scene Thor (2011), Fury was inviting him to Project Pegasus lab and showed him the glowing blue cube. At that time, he was under the influence of Loki (Tom Hiddleston). Thanos (Josh Brolin) was already looking for infinity stones and asked his children, including Loki to find them for him. The God of Mischief used Dr Selvig to open the portal that allowed Loki to invite Chitauri came to visit New York City. After the event of the Chitauri attack, Thor (Chris Hemsworth) returned to Asgard with the cube and Loki. The Tesseract was safely kept at Odin's vault but it didn't stay there for a long time. Loki decided to take the cube with him while he was about to rise Surtur. The God of Mischief kept the stone somewhere in his magic trick until they met face forward with Thanos' ship as shown in the mid-credit scene Thor: Ragnarok (2017). He and Thor fought Thanos and his group, tried to keep the stone away from him but he ended up gave the infinity stone to the supervillain to save Thor's life. After taking the Tesseract from Loki (and killing him! ), Thanos saved his precious infinity stone in his gauntlet and continued his journey to find the rest of the stones. Not long after that, he got every infinity stone and snapped his fingers. I'm looking forward to see what happens next in Avengers: Endgame on April 26!